Traffic safety advocates for prudent and proper road and signal engineering, for signage to established national standards MUTCD, public education and change from political influence and revenue generation in traffic management to true safety and efficient traffic flow. VIDEO: Can we make Winnipeg Roads More Safe? Over Use of Stop Signs – Is there a better way? If Enforcement is the Solution, Why Are The Number of Tickets Going UP! Parking in or near an intersection. Bill 14 is a bill structured to dissolve the Highway Traffic Board in Manitoba. The Highway Traffic Board (HTB) was created to remove political influence from overriding the application of proper traffic engineering principles in the setting of speed limits in Manitoba. It was, for speed limit application with continuity, traffic flow and safety as being more important than the political whims from jurisdiction to jurisdiction. It was to ensure that the setting of speed limits was done in a fair and consistent manner, and with a direct ear to traffic engineering experts, utilising sound principles sourced from international standards. The current government is working toward the dissolution of this important function, and placing speed limit setting in the control of politicians over professional traffic engineers. The HTB’s function was to ensure science prevailed over emotion in traffic management. Politicians are not trained and educated traffic engineering professionals. The Minister Ron Schuler has listened to FOR PROFIT COMPANIES Xerox / Conduent, ATS plus WPS, MPIC, Councillors Matt Allard, Janice Lukes, Brian Mayes and others that have a well documented trend of ignoring the majority of public interest in return for traffic “safety”, parking and other bylaw revenue by introducing Bill 14 which if passed will dissolve the MB Highway Traffic Board (HTB). THE DANGER HERE IS THAT WE GO DOWN A PATH OF ACTING FOR THE GOOD OF THE ONE OR THE FEW OVER THE GOOD OF THE WHOLE OR THE MANY. The HTB was responsible for restoring the proper speed limit on Disreali, for example and another regional road that were being aggressively targeted by Xerox photo and WPS enforcement after required signage removed. With the correct speed limit engineering, the violations were then reduced by 95% immediately. The HTB was set to vote on restoring safe limit of 70 on Pembina / Hwy 75 south of the Le Salle Bridge after Engineers and over 75% of residents and commuters recently agreed. 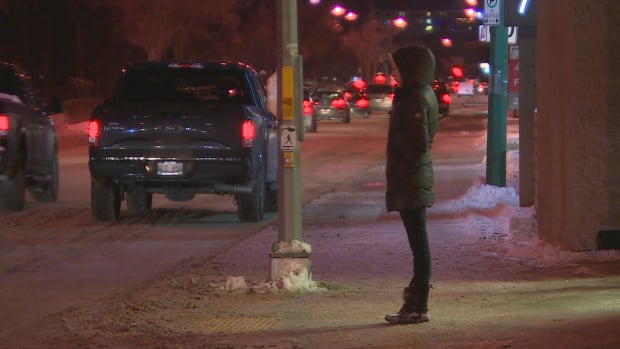 The HTB was previously set to review a dozen or more roads in Winnipeg when previous NDP Minister Steve Ashton met with City of Winnipeg elected officials and put this on hold indefinitely. Even though the majority of citizens, and traffic engineers agreed on the 70 km/h limit, a vocal minority has the ear of a councillor, who is exerting political force to by pass doing what’s right. This is the use of speed limits and pandering to the “not in my back yard” set for political support. This bill if passed would allow municipalities to bypass the transparency and accountability of the Province and set speed limits on municipal roads even if they artificially lowered against engineering recommendations and national standards created and used across Canada to improve safe and efficient traffic flow and safety for pedestrians. To stop this continued behaviour against public interest, safety, national standards and worse all members must contact their MLA and Minister Schuler to say enough is enough. If you agree tell them continuing down its path will cost them you and many other votes in 2020 and that much will be done against this self and special interest serving agenda to expose it. That they should speak out against it or face the consequences. Manitoba municipalities could soon have the right to set their own speed limits without getting regulatory approval from the province. A bill now before the legislature would scrap the Highway Traffic Board and transfer the authority over speeds on municipal roads to municipal councils. Provincial roads and highways would remain under the province’s control. The Association of Manitoba Municipalities welcomes the change, and says its members can sometimes wait years to get a speed limit changed under the current system. The bill would also eliminate the Motor Transport Board, which issues operating permits to inter-city bus companies. Infrastructure Minister Ron Schuler says the change will open up the industry and meet free-trade requirements with the other western provinces under the New West Partnership. The city has had to apply to the Highway Traffic Board for permission to change speed limits such as one several years ago on Hespeler Street. The city was denied a reduction from 60 KMH to 50 KMH. The new legislation would give the city the authority to make that decision. Steinbach Mayor Chris Goertzen is pleased to hear the provincial government has introduced legislation to give municipalities the authority to control speed limits on their roads. Currently, municipalities must apply to the Highway Traffic Board for any changes and, in the past, applications have frequently been denied. Goertzen says this legislation makes sense because municipalities know what is best when it comes to speed local limits. Goertzen notes Manitoba Infrastructure will still retain control of speed limits on highways through Steinbach but feels they’ll be able to make that work. The legislation is expected to come into effect in about a year. Copyright © 2018 Wise Up Winnipeg - IMPORTANT: The information on this site, in our Facebook group or any other communication/social media etc, is intended to be informational and/or entertainment only and should not be construed as legal advice.